Janette Dwyer was 18 when she thought she might want to be a quilter. 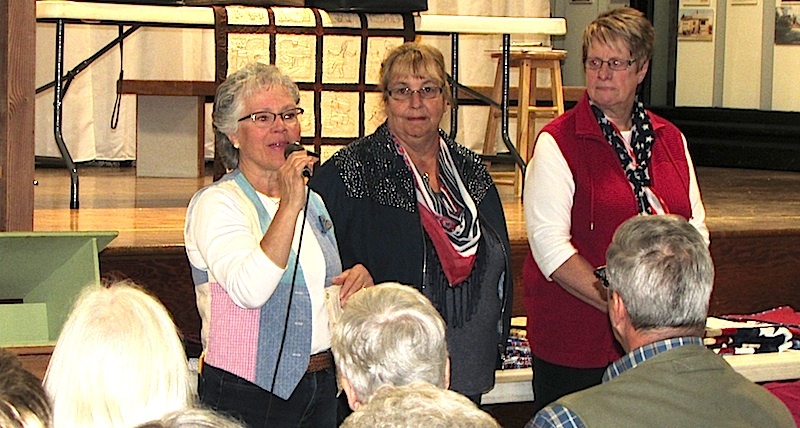 Thirty-four years and quilt shop later, she continues to embrace the art form. 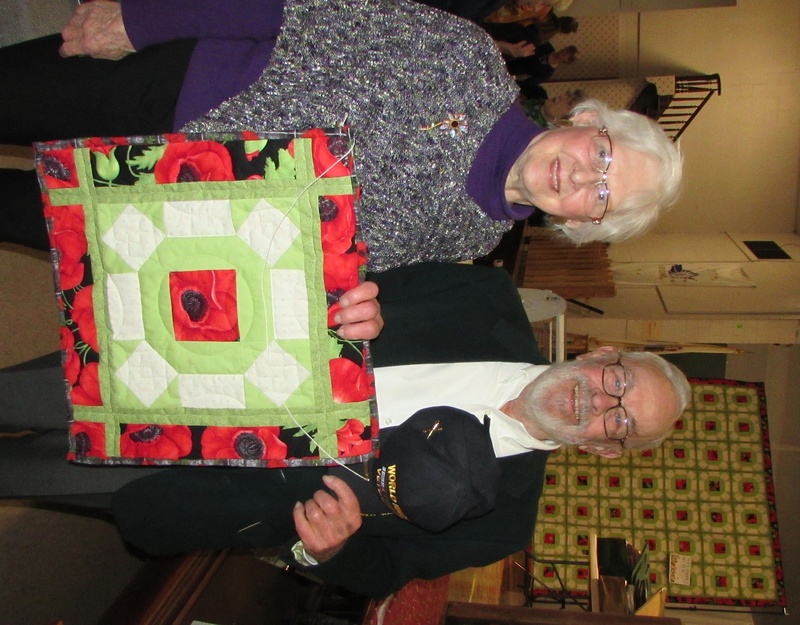 Dwyer, who owned Quilt Quarters in Geneseo between 1999 and 2005, has been a quilt appraiser and lecturer since then. 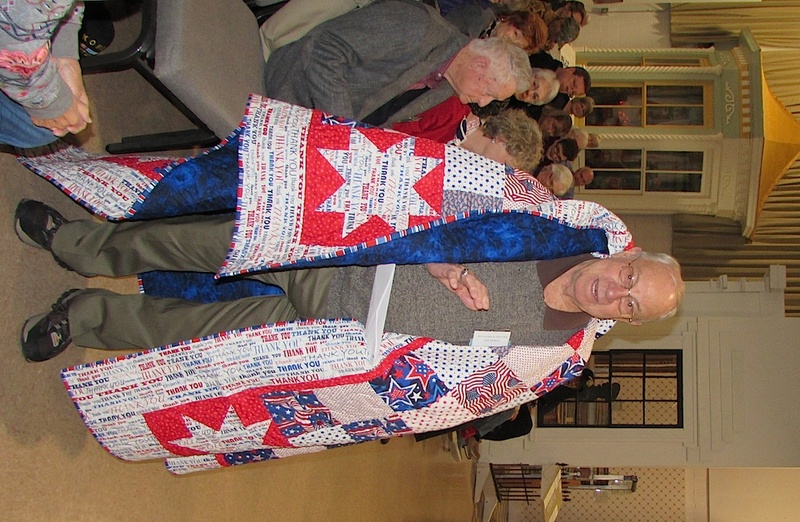 Her biggest piece of advice: Label your quilts for the benefit of future generations. “I love the creating something from one piece or multiple fabrics. 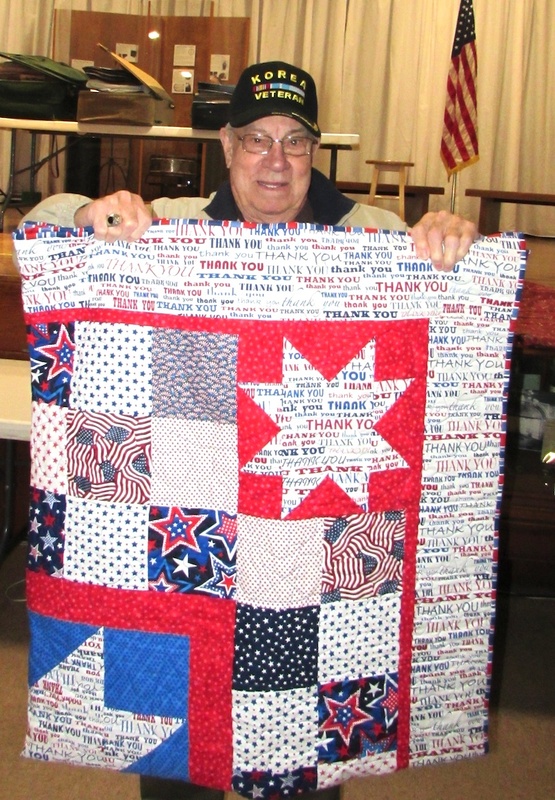 I love the hand quilting process,” Dwyer said. “When I get an old quilt top or a quilt top to finish for myself or another person, I think that that quilt top was not supposed to be in my hands, and yet it is. I think about the anonymous person (all these years later) who created that top, and now the top ties both of us together. As part of “Bargain Quilts and the Quilt Buy of the Century,” starting at 1:30 p.m. on Wednesday, Nov. 7, Dwyer will bring about 30 quilts that she has acquired at little or no cost. They include two “Century of Progress” quilts from the 1933 Chicago World’s Fair. Learn about the fair and these wonderful works of art. 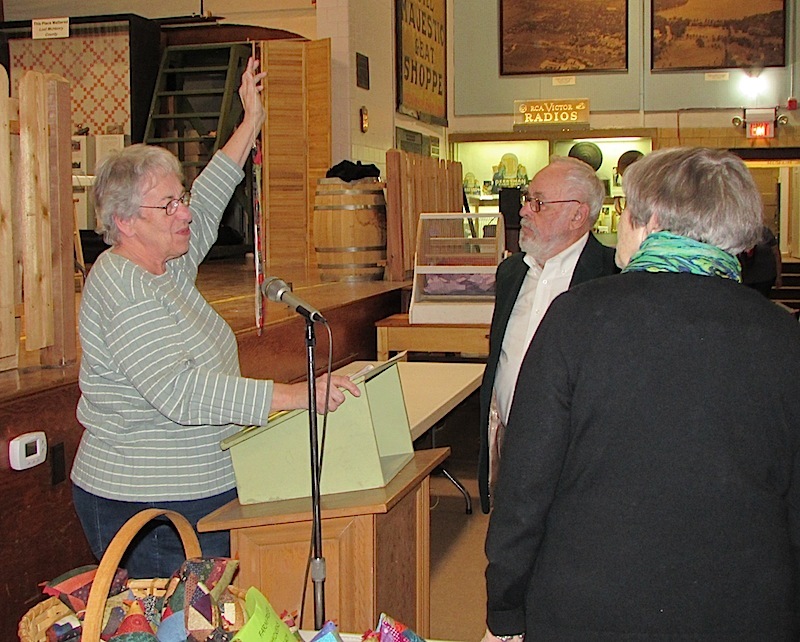 Dwyer shares I history on the World’s Fair Quilt Contest and information about many other quilts in her collection. 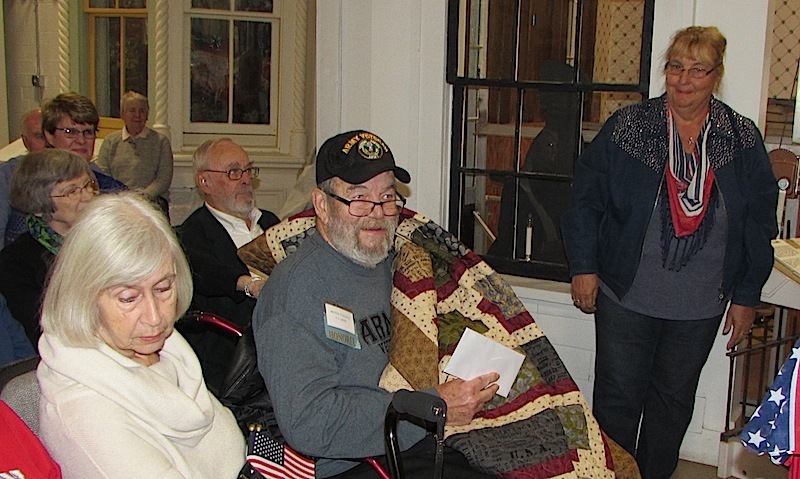 Guests also can participate in the drawing for the McHenry County Historical Society Heritage Quilters’ raffle quilt; the World War I-inspired “Forever Poppies.” A show-and-tell follows and the afternoon kicks off with a presentation of five valor quilts. • Dennis Turskey served in the Army from 1963-65. The Cary resident, trained as petroleum lab specialist, also saw combat in Vietnam. 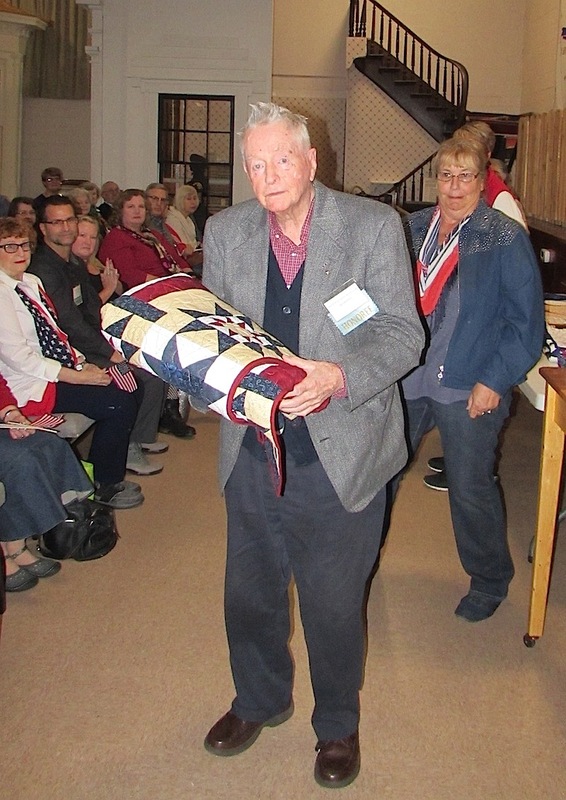 • Richard B. Hiller, a Korean War veteran from Johnsburg, served from 1953 to 1957. He is a former 1st lieutenant in the Air Force, serving as a navigator with the 11th Tactical Squad, 67th Wing, in Japan and Korea. • Rich Solarz, of Crystal Lake, is the Marengo police chief. He served 18 months in the Marines’ 2nd Battalion – first with the infantry in Korea, Japan, Europe and Africa, and later as an embassy guard in Paris and Dakar, Senegal. • His older brother, John Solarz, 59, formerly of Lake Zurich, served six years (1978-1984) in the Navy – four of those on the guided missile destroyer USS Dewey. He parlayed his training in advanced electronics into a 33-year career at Northrop Grumman in Rolling Meadows. • Austin J. “Jim” Bailey Jr., who grew up near Boston, now lives in Crystal Lake. From 1943-1946, Bailey served as a pilot with Marine Fighter Squadron 314 in the South Pacific. Among his awards was the Distinguished Flying Cross. Following the war, Bailey became a member of the Reserve Marine Fighter Squadron at the Naval Air Station in Squantum, Mass. In 1950-1952, Bailey served with Marine Fighter Squadron 235 during the Korean War. Once again, he earned a Distinguished Flying Cross, a Purple Heart and numerous unit citations before his release from active duty as a major, in August 1952. Doors to the museum, located at 6422 Main St. in Union, open at 1 p.m. Admission is $8 for MCHS members, $10 for nonmembers. For information visit www.gothistory.org or call 815-923-2267.